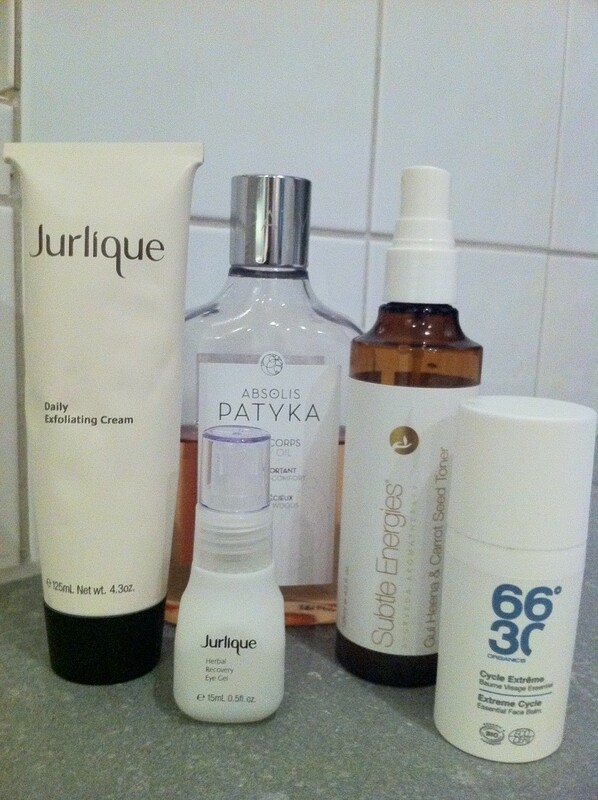 Jurlique Daily Exfoliant – a great exfoliator/peeling that can be used daily. So gentle, but still effective. It takes away any dullness in the skin and gives immediate freshness and purity. You need to use a specific technique (press and lift), but it’s not difficult at all. Life saver for a dry winter skin that needs to gain some luminosity and glow! Jurlique Eye Gel – very light gel (there is a cream version for dry skin), this gel is cooling and so refreshing. Wakes me up every morning! Patyka – Iris body Oil – it took me a while to get used to the scent, but now I’m addicted. Not too strong, kind of a sweet scent, just the perfect scent for the winter. And it makes the skin so soft, and even though it is a nourishing oil it is quickly absorbed. Subtle Energies Henna and Carrot seed Mist – Ayurvedic herbs and plants refreshes the skin. I use it several times a day, both after cleansing the skin, but also during the day, if I need to refresh or give moist to the skin. One bottle is in my bath room and one is beside my laptop in the office! 6630 Extreme cycle – well, actually this is not mine…it is my husband’s favorite products. 6630 is a Men’s skin care line. The extreme cycle is perfect for colder climate, and dehydrated skin, but it still doesn’t make your skin shiny. Also very nice packaging according to my hubby. These beauty products sound fantastic. Thanks for sharing :).